"The balance and stiffess of this racket make it perfect for my style of play. It is just as described in the sweatband information. 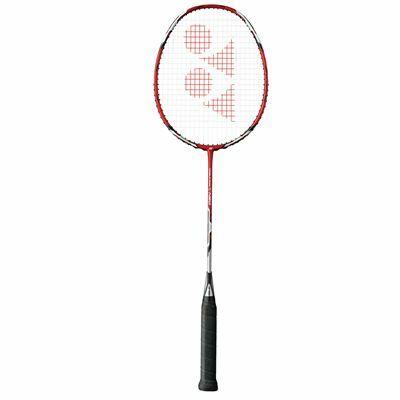 Most impressed"
"This racket replaced my Voltric 7 but I'm disappointed with this 'Neo' version. This may be due to the stringing of course. Sweatband are very poor in not providing info on string or tension used in rackets sold. I'll wait until a string busts before restringing. Tension seems too high which is worrying as Yonex usually puts a max of 24lbs/sq.in. for their frames. Balance is fairly neutral for a Volvic less head heavy than the straight 7. Seems to respond faster in the hand in defensive situations which is great. Its a smart looking racket but then most are and that's really a distraction, how it plays must be the No 1 virtue. So a not too enthusiastic review but restringing may really bring the thing alive as it's well balanced and good in the hand."